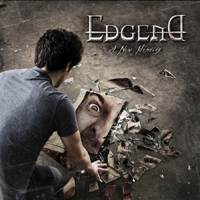 Unless you really, really likes Symphony X and to a degree Adagio and Space Odyssey there's really no point in even considering picking this album up, because what Edgend delivers on their debut full length has massive parallels with those bands. Highly unoriginal, but you don't just write songs that have the quality to compete with the above mentioned bands without being very talented and the album shows some very skilful musicians that handles their instruments to perfection and a very good vocalist, who has the range to sing the complex songs. You really can't put a finger on the execution and the production, but originality is nowhere to be found.